The College Counseling Office provides expertise, experience, and enthusiasm to support CSUS students on their college path. We help each student develop a targeted set of collegiate options at which s/he/they will thrive intellectually and personally, and we help students prepare applications that present their life story in an authentic manner. Through this guidance, we empower students to own their collegiate choice as the independent, adult decision it is. Deciding what college to attend is the beginning of a journey, not the end, therefore we support a college application process that focuses on self-reflection, self-discovery, and personal growth. 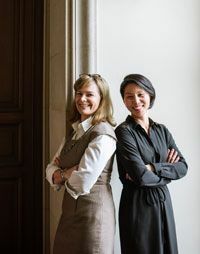 The College Counseling Office is led by the Director of College Counseling Jennifer Carleton and Associate Director of College Counseling Jean Lee. They work closely with 12th and 11th grade students and their parents throughout the college search process. In addition, the CCO has periodic meetings with the 9th and 10th grade, is available to answer questions via phone and email, and collaborates with faculty and staff on matters related to higher education. The College Counseling Office keeps its information current by meeting with the over 100 college representatives who visit campus each fall, attending national and local conferences, visiting college campuses, and connecting directly with admission offices. 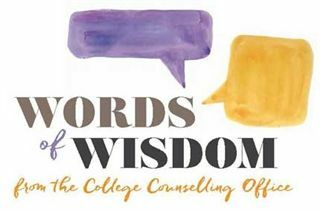 College Quest: During the fall semester, the college counselors meet with all seniors one class period a week to review the steps necessary in applying to college. College Quest is a supplement to individual student meetings which take place throughout the senior year.